We took the new Conferation Bridge to PEI. This bridge is nine miles in length and provides far better access to the island than the ferries did. It is not cheap however, it cost $43.75 for an RV which is collected as you leave the island. For an automobile the toll is $38.50. Don't think they have too many commuters to the mainland on a daily basis! 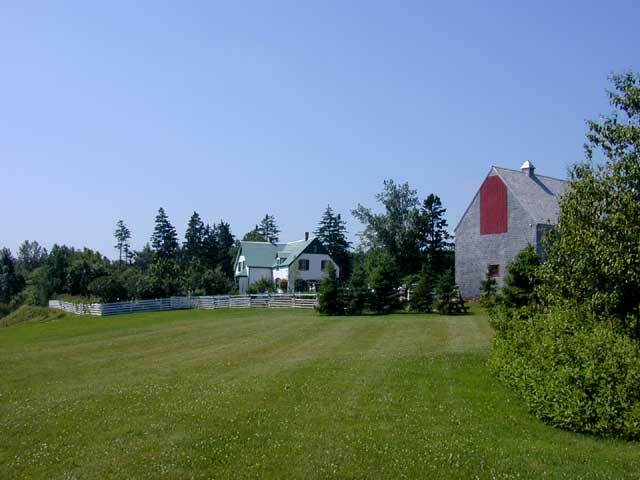 PEI is primarily a farming community and is often called the "Million Acre Farm". The predominant crops are potatoes and barley, with other grains and hay playing a secondary role. This makes for beautiful vistas of varying colors of green as you drive around the island. 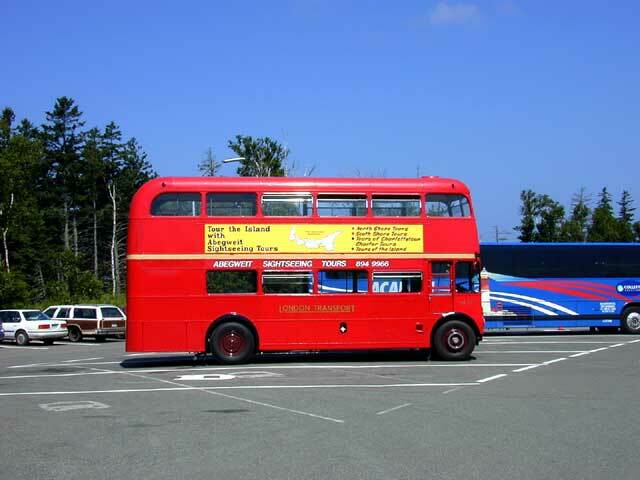 They have imported some of the double decker busses from London and use them to provide tours of the the island and Charlottetown. 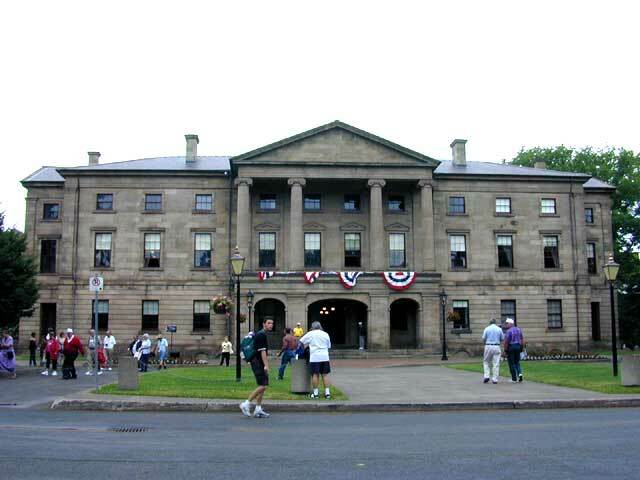 We went took a tour of the north coast and Charlottetown in one of these. A great way to see the sights. However because they came from London there is no air conditioning. The day we went it was hot and humid and some cool dry air would have been wonderful. This is the home that was used as the model for the home in the book, Anne of Green Gables, and subsequent novels by Lucy Maud Montgomery. She never lived in this home but it was occupied by a cousin of hers. It has been beautifully restored and now contains memorabilia of the early 1900's including some of Ms. Montgomery's early things. Col. Johnston, retired from the English military, started making large models of prominent English buildings as a hobby. Eventually he got funding and put together Woodleigh, a place to show his works. 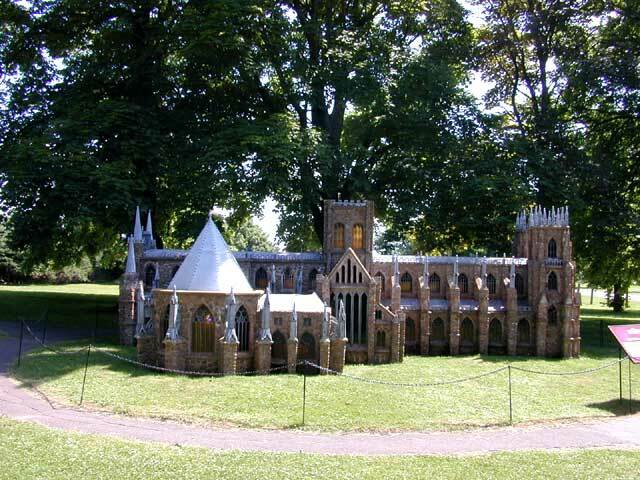 His model of the Tower of London is large enough to walk through. This is his model of York Minster Cathedral, second only to Canterbury in the Church of England. The original building has a bell that is bigger than Big Ben and it contains two thirds of all the fourteenth century glass of England. His replica was built 26 feet long and 12 feet wide and took five years to construct. 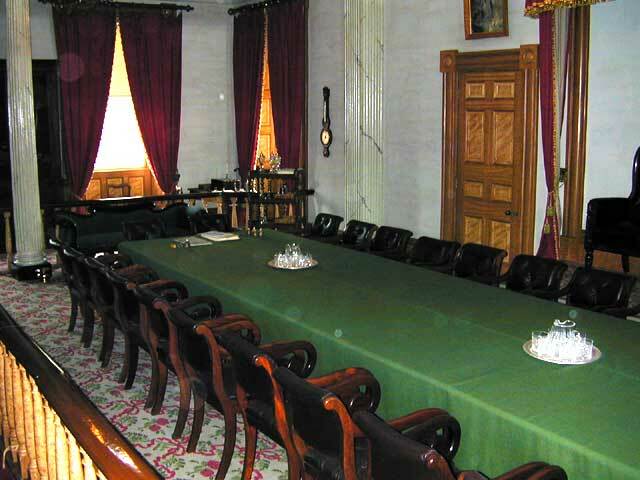 This is where the delegates from the Maritimes and Canada met in 1864 to lay out the terms of Confederation. This is what they called their union. It was the start of the nation of Canada as we know it today.